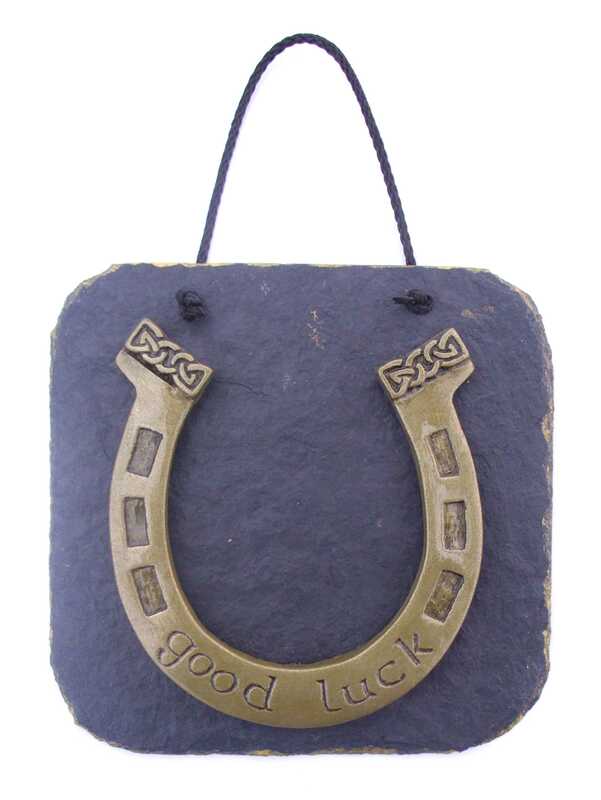 Killyliss Studio has designed this horseshoe irish wall plaque as a good luck token, to bring luck to you and your house. 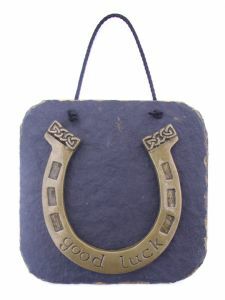 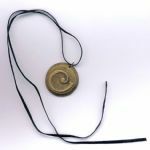 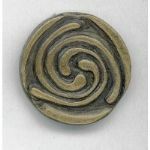 The horseshoe has long been associated in many countries as a good luck charm or emblem. 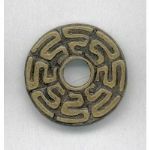 It is supposed that if the horseshoe is hung upwards then it will hold and bring good luck to the house and family within. 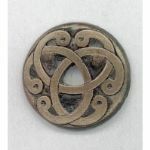 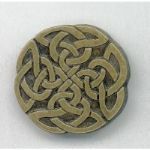 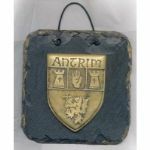 This plaque is designed incorporating celtic knotwork designs and then coldcast in brass in studio by Colm Mc Cann. 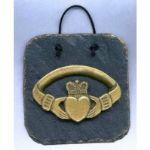 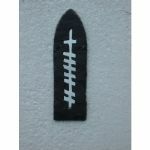 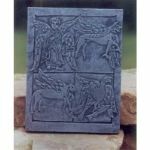 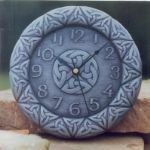 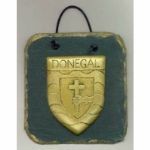 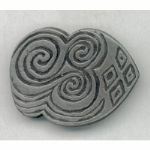 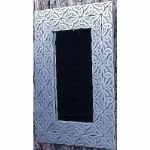 The Irish horseshoe design is then carefully mounted onto a natural slate wall hanging plaque 125mm x 125mm in size. 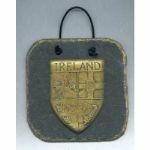 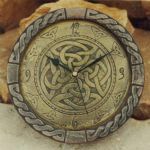 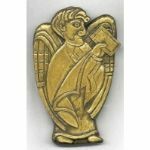 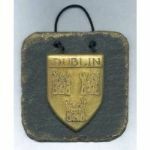 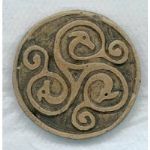 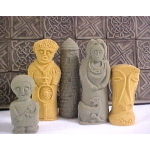 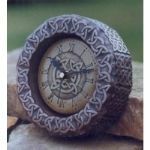 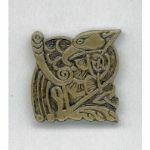 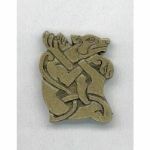 This handmade Irish wall plaque makes a thoughtful gift, bringing a good luck sentiment to its owner. 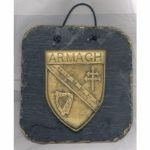 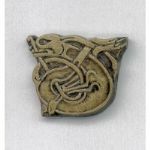 Ádh mór Irish horseshoe wall plaque with shamrock design.